Make a free, quick and easy PPI claim before the August 2019 deadline - and keep all of your compensation. 1 Can I claim mis-sold PPI compensation? 5 How long does it take to get a PPI refund? 6 What do I do if my PPI compensation is unfair or rejected? If you had any kind of credit product, such as a consumer loan, store card, credit card or mortgage up until 2006, when the regulator began imposing fines for PPI mis-selling, you may have been mis-sold PPI (payment protection insurance). Some mis-selling may even have taken place after this date. Which? can help you make your own PPI claim for free, and if you're successful you'll keep all of the money you’re owed. The deadline for making a mis-sold PPI claim to your bank or provider is 29 August 2019. Keep all of your compensation, and send your PPI claim direct to your provider. Choose the provider you want to claim against. There's no need to hand over a huge chunk of your compensation. A lot of companies promise to make a PPI claim on your behalf in exchange for a large percentage of your compensation. If you can’t remember who your lender was, check your credit file, which you can do free of charge. If you're not sure who to claim against the FCA has a helpful list on its website that you can search to find out who to contact to ask if you had PPI. There’s also an important update for anyone who’s made a PPI claim before and it’s been rejected. Read our PPI FAQs guide for more answers to frequent questions including making a PPI claim on behalf of a deceased relative. More than 200,000 people have already used the free Which? PPI claim tool above to start their claim, and in 2018 we saw an average compensation payout of £2,500 – one person we spoke to received more than £18,000. What is Payment protection insurance (PPI) and how was it mis-sold? Payment protection insurance (PPI) is an insurance product sold alongside credit cards, loans and many other finance agreements. It’s meant to ensure that payments would continue to be made for a time even if the borrower is unable to make them due to sickness or unemployment. But huge numbers of policies were mis-sold and most people don't know if they were mis-sold PPI or not. If you're still unsure whether you want to make a PPI claim you can check the mis-selling checklist below. But many people took out the product so long ago it’s difficult to remember exactly what happened. In this case, you shouldn’t be afraid to put in a claim as there's no limit to how far back you can claim PPI. If your answer is ‘no’ to one or more of the following questions, it's likely you were mis-sold PPI. If the insurance was optional, was that made clear to you? Did the adviser tell you about any significant exclusions under the policy – for example, the exclusion that says you won’t be covered for any pre-existing medical condition? If you took out a loan or finance agreement, did the adviser make it clear that you would have to pay for the insurance upfront in one single payment? If you had to pay for the PPI as a single payment, did the adviser make it clear that the insurance cost would be added to the loan and that you would be paying interest on it? If you bought PPI after 14 January 2005, did the adviser try to persuade you to take it out by saying something like: ‘We strongly recommend that you consider taking out PPI?’ If so, the sale counts as an ‘advised’ sale and they should have issued a ‘demands and needs statement’ to show why a particular policy has been recommended, and why it’s suitable for you. If they didn’t, this is grounds for complaint. You can complain if you think your provider earned a high level of commission from your PPI and this was not made clear to you when you bought it. Can I make a PPI claim on behalf of a deceased relative? Generally if there is a will, and a grant of probate has been obtained, then all the executors named as the personal representatives of the estate on the face of the grant are authorised by law to bring a PPI complaint. For more information on how to do this see our frequently asked question about PPI. If your complaint is upheld, then the company that sold you the policy should do its best to put you back in the position you would have been in if you had never taken PPI out in the first place. In addition to your PPI repayment, you may also be entitled to statutory compensation which is usually set at an interest rate of 8% of the money refunded. This is to make up for the fact that you haven’t been able to use the money during the time you held the PPI – after all, you might have saved or spent it elsewhere. Regular premium policy If you have a regular premium policy, such as those attached to mortgages and credit cards, then you should receive a refund of any PPI premiums paid by you and, if applicable, a refund of any additional interest charged to you because of the PPI. Single premium policy If you have a single premium policy, such as those often attached to personal loans or finance agreements, then the compensation you receive will depend on whether your loan is still in force or not. Loan still in force Your lender should calculate what your loan repayments would have been had PPI not been added to the loan and how much should have been repaid so far. Any overpayments you have made will therefore be applied to your outstanding loan, reducing the amount of capital you owe. Loan no longer in force You should still receive any PPI payments you made, plus the difference between the redemption figure you paid and what it would have been had you never taken out the PPI policy. Your PPI provider has up to eight weeks to resolve your claim from the date you made it. But you could get a refund as early as the week after your initial claim. If your provider takes longer than eight weeks or rejects your claim, you can appeal to the free Financial Ombudsman Service (FOS). The FOS is free to use but, due to the volume of PPI complaints, it can take a while. If your claim is rejected, or if you’re not sure whether the amount you have been compensated is correct, all is not lost. 1. If your complaint is rejected or you're told the bank needs more information You can either take your complaint straight to the free Financial Ombudsman Service or you could use the provider’s ‘subject access request’ form, which can be requested for free. This form should give you all the information the provider has about you and the products you’ve had with them, for at least the past 6 years. You should receive a response within 40 days. 2. If you think the amount of compensation is unfair You should check the factors that can affect the amount you get. For example, did you make a claim on the policy, or do you owe the bank money? You should also check the assumptions the bank has made. If your bank needed to make any assumptions to calculate your offer, it will have been explained in your letter. 3. If your claim was rejected before late 2015 You might be able to resubmit your claim following the 'Plevin' ruling - check the information below. In most cases if you think anything is incorrect or that you have been unfairly treated, your first port of call should be your bank. 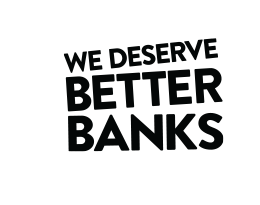 If you still don’t think the bank’s final resolution is fair, you have the right to contact the free Financial Ombudsman Service to ask a question or challenge your bank’s decision. There is no cost involved, and as many as two in five PPI claims referred to the FOS are successful. But, due to the volume of PPI complaints, The FOS isn't quick to make a decision. See our guide on taking a complaint to the financial ombudsman. Anyone can and should make an initial PPI claim for free. If your claim is rejected, and you don’t have the time or energy to pursue your PPI provider any further it might be worth going to a claims management company (CMC). But you need to be aware that if your claim is successful you could hand over as much as 40% of your compensation to the claims company - for making a claim you could have done yourself for free. The average successful payout from our free PPI tool is £2,600, making the same claim via a CMC will see you hand over more than £1000 of that to a claims company that may have had to do very little to earn it. If you have an older case of mis-selling that isn’t from the bank it can be worth using a claims management company too, as the FOS can’t adjudicate cases that aren’t from banks. If you do decide to get help from a CMC, you can search the Authorised Business Register to check that the CMC is regulated by the Ministry of Justice’s Claims Management Regulator (CMR). You can find out whether a company you are using, or plan to do business with, is authorised or registered by the CMR, or is exempt. If you deal with a firm (or individual) that is not regulated you may not be covered by the Legal Ombudsman if things go wrong. The Financial Conduct Authority (FCA) has put rules in place for how firms should handle claims in the wake of the Supreme Court ‘Plevin’ ruling, which looked at cases where providers earned a high level of commission from PPI and customers weren’t told about it. The FCA now says that if the cost of your PPI was made up of more than 50% commission and you weren’t told this, you should get the difference back plus interest. These rules only officially come into effect on 29 August 2017, but there’s nothing to stop you resubmitting your claim ahead of this date and asking your PPI provider to check for undisclosed high commission. As bank loans with PPI typically had 67% commission and banks almost never mentioned it, a lot of people are likely to be owed compensation. If you’ve had a PPI claim rejected in the past, you should resubmit it to your PPI provider and ask them to check for undisclosed high commission, as realistically there’s little to no way you could have possibly known about the amount of commission on the product you were sold. It’s important to remember that you’ll only be compensated the percentage difference over 50%, so if your product was 67% commission, you’ll only get the 17% back.